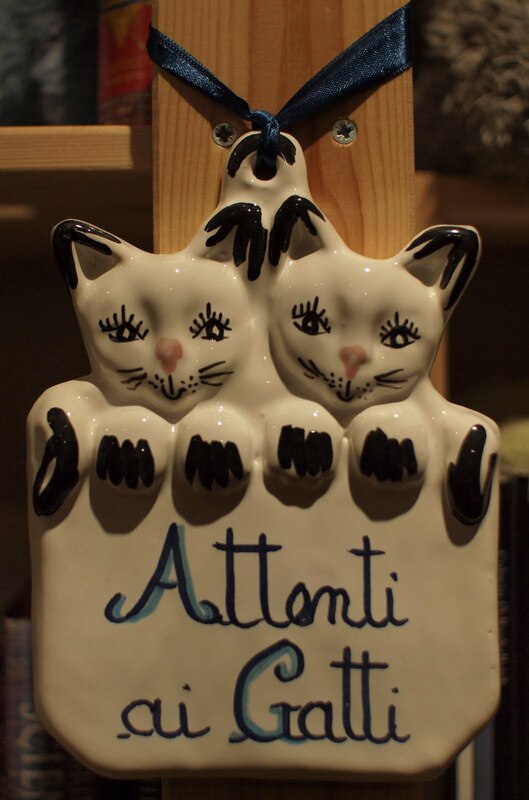 Comments: While holidaying in Italy my father bought me this very adapt plaque. As the proud owner of two black and white cats this serves an important role. A lot of effort went into making sure it stated the plural. I hope that I will always have the honour of sharing my life with cats. Somewhat reminiscent of Hugh Leonard, Rover and Other Cats .